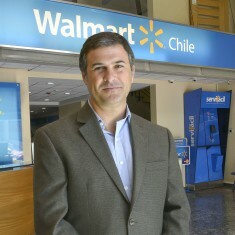 Walmart Chile strives to improve quality of life for our associates, our customers and the communities we serve. 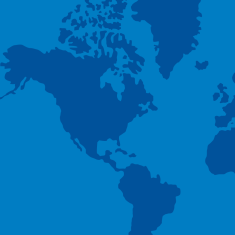 Walmart Chile is personally invested in the local issues that matter most to our customers. In 2009, Walmart acquired a majority in Distribución y Servicio D&S S.A., Chile's leading food retailer. 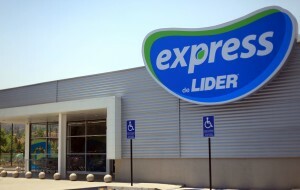 With headquarters in Santiago, Walmart Chile operates several formats including hypermarkets, supermarkets and discount stores. In 2018, Walmart announced the acquisition of Cornershop, a leading online marketplace for on-demand delivery from supermarkets, pharmacies and specialty food retailers in Mexico and Chile. For more information on Cornershop, go here. 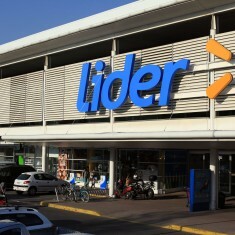 Lider is the hypermarket format, and responds to the “one-stop shop” concept. It is known for offering a wide range of products, including home appliances, electronics, textiles, hardware and toys, in addition to traditional grocery lines, as well as different additional services, provided directly by our company or through some partner. It offers first-class domestic and imported products, some of them brought directly from Walmart US. The average size of their stores is above 100,000 sq. ft. It is the supermarket format, focused in offering an easy, fast and convenient shop experience for weekly groceries purchases. It also offers a limited assortment of general merchandise, oriented to solve the everyday needs of our customers. The average size of their stores is 27,000 sq. ft. 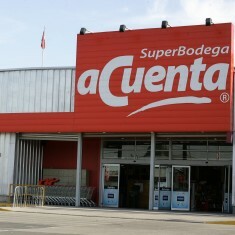 The SuperBodega aCuenta Discount Compact Hypermarket format is focused on offering quality products at low and first prices. Products include food, clothing and household items, with a wide range of private brands. 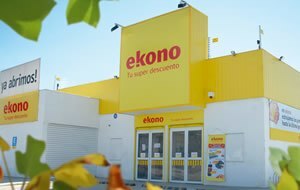 Ekono Soft Discount stores offer groceries and are located in densely populated areas to provide speed of purchase and easy access to low prices for customers. The average store size is above 5,000 sq. ft. This Cash and Carry format is focused on wholesale. It caters exclusively to businesses and membership is free. The stores are aimed at servicing small businesses, liquor stores, kiosks, and companies that offer food services (hotels, restaurants and casinos, among others). On average, Central Mayorista stores are above 45,000 sq. ft. in size. As a responsible company, Walmart Chile strives to improve quality of life for our associates, our customers and the communities we serve. In addition to providing customers with the products and services they need, we’re committed to creating greater opportunity for women and small businesses across the country. We design and retrofit stores to limit our environmental impact and engage with suppliers to develop ways for customers to participate in the recycling of post-consumer waste. In addition to providing customers with the products and services they need, we’re committed to creating greater opportunities for women and small businesses across the country.